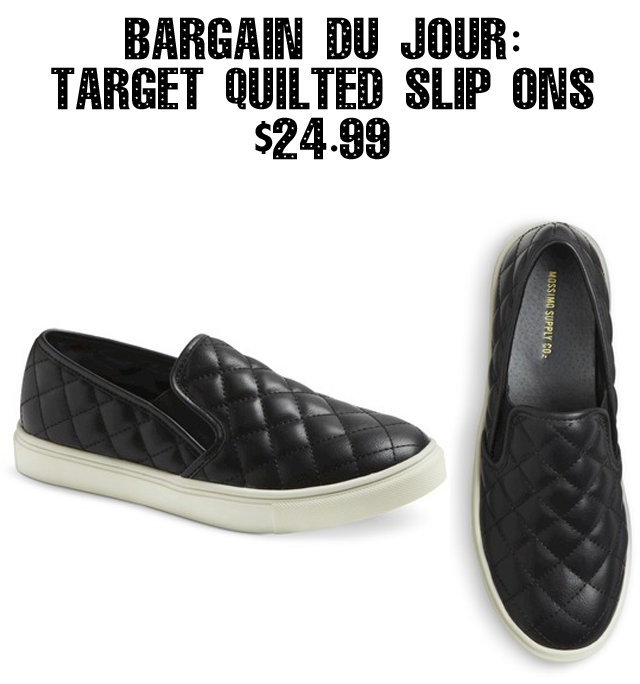 Target are taking a page from Coco Chanel's book this season with some seriously fabulous black quilted slip ons. Perfect for a more casual approach to fashion, you'll have a hard time differentiating these bad boys from something Karl Lagerfeld would create. Only good luck finding anything designer for a price tag of $24.99. Yeah, you're gonna want to purchase these immediately.